Why are there so many cheap flights to Malaga? With around 18.6 million passengers passing through Malaga Airport each year, Malaga airport on the Costa del Sol has become Spain’s 4th busiest airport. Known in Spain as Aeropuerto de Málaga-Costa del Sol or AGP, the airport has over 60 flight connections worldwide. 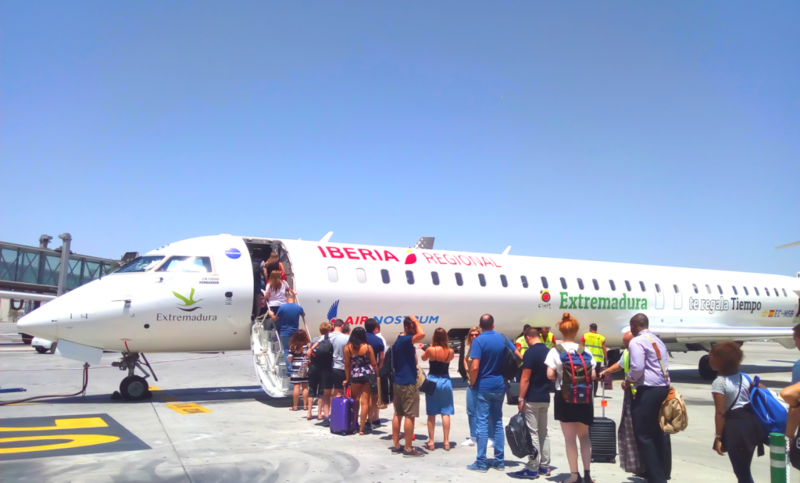 With so many passengers arriving here, it’s no wonder some of the biggest airline companies have been competing to dominate the sale of all flights to Malaga. Now with companies such as Ryanair, Easy Jet, Flybe offering cheap flights to Malaga from London, Birmingham and Manchester, holidays in the sun are now more affordable than ever for most family budgets. With a flight time of just 2 hours and 30 minutes, Malaga is still a top competitor for first choice when it comes to family holidays in Europe. We have put together a Malaga airport guide to help you find what you need quickly. From Public transport information to to cheap parking at Malaga airport itself, you will find all of the information you’ll need to plan your holiday. Even booking cheap car hire at Malaga airport is no longer a fleeting wish, but more of a reality thanks to the abundant choice of car hire businesses online and at the airport itself. Renting a car at the airport is now easier than ever and car hire companies include: Europcar, Sixt, Hertz, Goldcar and Avis. Driving in Spain and drinking alcohol is a big no-no and not worth the risk. Also, an experienced driver over 25 years of age may well get cheaper car hire insurance. 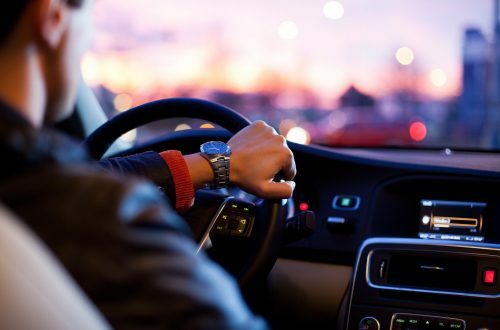 Remember when driving, your vehicle must have 2 warning triangles and two reflective vests, a spare tyre and headlamp bulbs, all which should be provided by your car hire company, but worth checking first before driving away. Taxis are readily available downstairs at airport arrivals. Booking a taxi transfer from Malaga airport in advance is recommended because of agreeing with the exact taxi fare up front. There’s nothing worse than arriving at your hotel or villa in a taxi and being presented with a hefty an unexpected taxi charge. Malaga Airport offers a nearby train from the airport into the city and other destinations on the Costa del Sol. To get to the airport train station, leave the arrival hall of Terminal 3 towards the ticket office. Continue walking for a couple of minutes and you will see the entrance to the station. 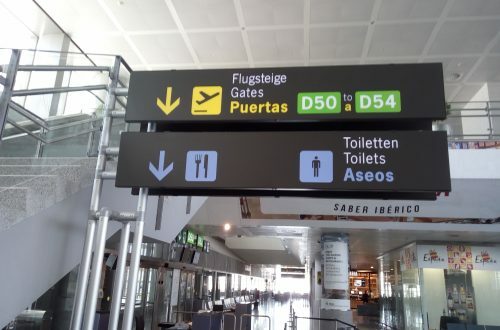 Malaga Airport is one the stops on line C1 connecting the city centre with Fuengirola stopping at Benalmádena and Torremolinos. 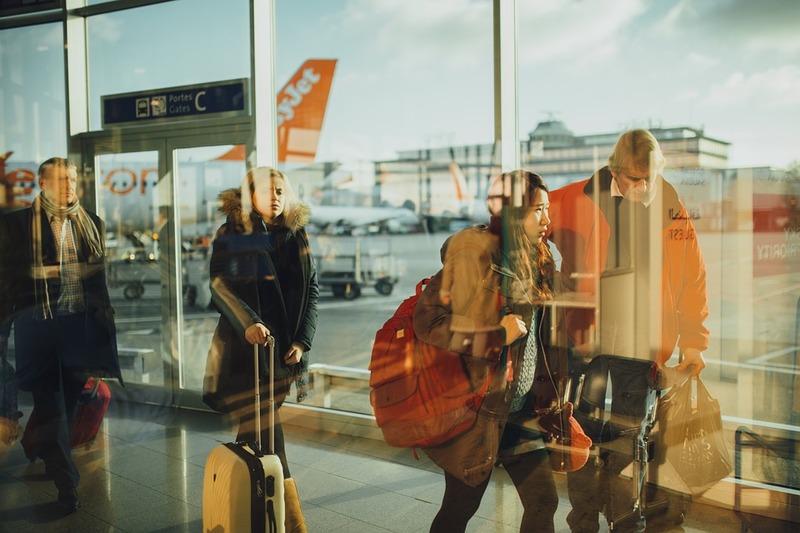 Prices vary by zones, but once you understand how it all works, it is an inexpensive way of getting to and from the airport. All buses arrive and depart from stops behind the ticket office outside Terminal 3. 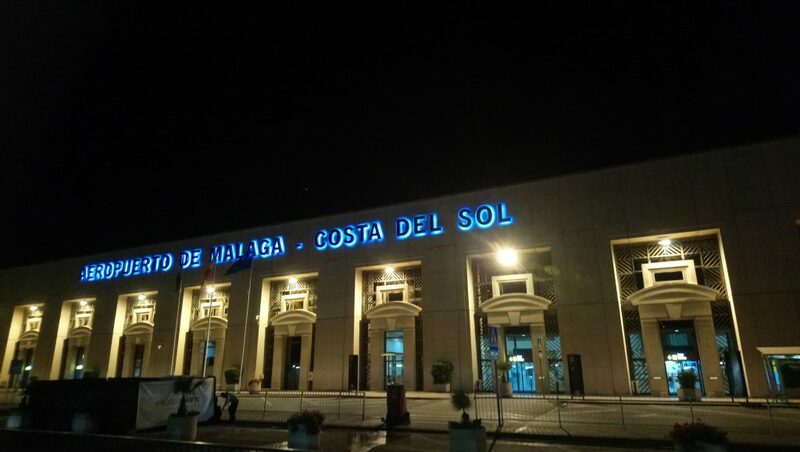 Direct buses are available to most Costa del Sol resorts, but if you are going further afield you need to change at the main station in Malaga. To get to the city centre station take the Express Line 75 which runs on a loop between the airport and the city every 15 minutes. A one-way ticket cost 3€ and is payable to the driver on the bus. If you are driving to Malaga airport you will be pleased to note that car parking at Malaga airport is relatively cheap. From just 3 euros per day secure and insured parking is available for short and long-term trips. Malaga airport has done away with the free drop off and pick up zones with you now having to park your car in the Express Car Park. As you approach the upstairs departure area take a ticket and park in the 300 place car park. The first 15 minutes are free, after which hourly increasing charges apply to a maximum of 58€ per day. You can only access P1 Car Park from the downstairs arrival level. This covered car park is ideally situated for both arrivals and departures. Prices start at 0.89 for the first minute and then go to 0.02 every minute after that up to 30 minutes from which they increase to 0.05 per minute with a maximum daily charge of 19€ for parking up to four days. After four days the charge decreases to 16.50€ per day. Malaga Airports open-air P3 long-term parking lot is located a 5-10 minute journey ride from the terminal. A free 24-hour shuttle is available on demand during off-peak hours and runs between the parking lot and the airport every 10-15 minutes during the daytime. If you are going away on holiday, you may think that this is your best option at the airport. Here you will pay 19€ for the first day and need to consult with the airport for daily and weekly charges after that. Tip: Malaga Airport has many offsite private parking lots that offer free shuttle buses to and from the airport. Their charges vary depending on how long you want to leave your car. There’s options to park daily, weekly or monthly, with some even offering yearly rates for people who are frequently travelling through the airport. Some even offer free shuttle services to Malaga Port for people going on a cruise.